The UsuryFree Eye Opener: US Intel Reports Imminent Terror Attack on US! Please friend me on Facebook if you are a Truth Warrior! I’m urging all truth warriors to go to Facebook and LIKE the “VT Truth Warriors” page – huge stories breaking there and we are taking ACTION! Also get my free ebook “How to Spread 1,000 Times More Truth” using simple tips. Visit my Youtube channel also for VeteransToday Radio and much more! We are being lied to by our fake news and the lies are increasing every day. We have no more time to waste! Let’s WIN this thing by spreading more truth! Let’s do it together! This episode of Veterans Today Radio is a special broadcast. It’s very important! To stop the coming terror attack planned by the neocon faction of the shadow government as described in this interview, it’s critical that all patriots share this information by all means available. This attack will be blamed on Iran to start another war. We can back them off if all of you do your job to spread this information! It’s also important that you stop supporting the gatekeepers of alternative media who are aiding these neocons and censoring all articles by US Intel (VeteransToday.com). If the person you listen to in alternative media is not talking about Veterans Today and their articles and broadcasts, they are working for the bad guys and are traitors to the country! 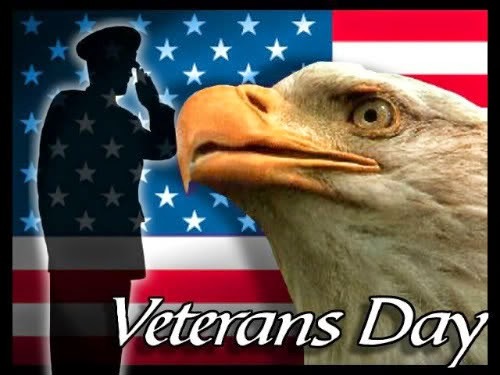 Support Veterans Today (VT) – they are the patriots in US Intelligence and our Vets bringing out all the truth. Nobody has better intelligence than VeteransToday (VT) because they are literally US Intel! They have people on the ground in Ukraine. They had people sifting through the wreckage of MH-17! They broke the biggest story of 2014 where VT proved that 9/11 was a nuclear event! VT stopped the Syrian war by releasing the video footage showing the rebels launched the gas attack and not Assad! VT also released the footage of the missile shot at MH-17 and proved it was fired by Ukrainian forces! They have the guns and badges behind the scenes and it’s up to all patriots to get the word out so they can gather more forces behind them to make more arrests when the time comes! Listen to them now and take the final red pill and never support gatekeepers who censor their information. The people behind VT have already made arrests and forced out crooks in Congress that were told to announce retirement or leave in handcuffs! Gordon Duff relates how he now has multiple confirmations of a coming Terror Attack on the United States to be blamed on Iran to get a war started with Iran which has always been the goals of the Neocons. Stew Webb hosted this round table discussion of the latest Intel from Veterans Today and was also joined by Jim Dean and Preston James. Make sure you click the links on each of these men and read all their articles! Here are a just few notes from this broadcast. Please share VeteransToday.com and “Veterans Today Radio” broadcasts with as many patriots as possible. Illuminati gatekeepers such as the “tip of the spear” man in Austin that has censored all of their information and tells you instead to get your news from Matt Drudge who is funded by Illuminati scumbag Rupert Murdoch as reported by VeteranToday’s Gene Chip Tatum on Veterans Today Radio. Gene Tatum was a super spy for the CIA and NSA and is one of the few surviving spies that know where all the bodies are buried in the Bush / Clinton crime syndicate. Here are just a few things covered! 1. US planes hit ISIS targets for the first time. ISIS is an Israeli run and financed operation. ISIS is murdering people wholesale in Mosul. They are getting aid from Saudi and have full access to US satellites through Israel. 2. Kurdistan is closely aligned to the US. US artillery (105mm howitzer) was blasting Erbil Kurdistan! Obama sent (2) F-18′s that took out the weapon. 3. ISIS designed to take the entire middle east. ISIS originally said they would defend Gaza and nuke Israel but said nothing during entire Gaza war. We have evidence the Israeli government murdered the teens that were claimed to be the reason Israel attacked even though the bombings started months earlier. 4. The Gaza war has been going on for years with Israeli strikes – plan is to entirely destroy Gaza. 5. We have a civil war going on within the United States right now between the holdout Neocons and the true patriots that know the evil that the Israeli government has done against the United States and are tired of the wars. 6. The neocons next plan is to pull off a major attack in the coming weeks if they are able to do so and blame it on Iran to start another war. They have caught Ukrainians and Chinese terror cells coming across the border. The border has been opened wide open by the Neocon faction. 7. The Ukraine army is getting smashed badly and that’s why the neocon faction and rogue military units are assisting the puppet Ukrainian government. 8. The rogue neocons faction plans to use the star wars death ray weapons to take out Russian tanks along the border to take over the entire middle east! 9. Neocons pushing impeachment of Obama because he’s not going along with the NWO war plans right now. 10. Tea party Republicans are agents of a foreign power (Israel) and are entirely on the take. Rand Paul is one of them. 11. Illegals coming over the border are tied to political group represented by Fox News (Sean Hannity etc) (Neocons). 12. The neocon faction are stripping the country! The Southwest is being especially stripped. Mormons have infected the NSA, Justice Department, CIA and have done so multi generationally. 13. Headquarters of this neocon faction is Fort Huachuca, Arizona which is an army Intel base that was supposed to seal the border using technology. They are the ones that have opened it and are taking orders from the Mexican drug cartels. Sierra Vista, Arizona is another headquarters of the rogue neocon faction. 15. The Ukraine air force only had a handful of advanced SU-27 and SU-29 aircraft and suddenly they now have dozens! 16. An American air force base is supporting the Ukrainian air force as are an Israeli base, a Polish base and a Romanian base! 17. 24 Nations have charged Israel with War Crimes! 18. Timothy McVeigh (official Oklahoma City bomber) is still alive! He was given the backdoor treatment by Daddy Bush. They injected him with a drug that slowed his heart to one beat per minute and revived him afterwards, gave him plastic surgery and a new identity. (Note by Glenn: the details of this were covered in other Veterans Today Radio broadcasts) 80% of DC involved in buying out our puppet government. 3 of supreme court justices are tied to organized crime. 19. Many of the state governments are controlled by drug cartels now. 20. Our satellites can now see all minerals under the ground. They have found that Africa is sitting on top of a sea of oil. Africa has the largest supply of oil on the planet. 21. Chinese intelligence has been caught coming over our open borders. Much more is covered in this interview! Get it out to ALL facebook walls, groups, twitter, social networks etc. Note by Glenn: You have my permission to copy this article in it’s entirety to all websites as long as you link to the source here.